Nina Simone photo courtesy of Dutch National Archives. Starting in late April and running through June, Seattle Repertory Theatre will feature the west coast premiere of Nina Simone: Four Women by playwright Christina Ham. The full-length drama with music honors examines American singer-songwriter Nina Simone at the intersection of her music and activism after the 1963 16th Street Baptist Church bombing in Alabama that left four Black girls dead. The church’s rubble is the setting for Ham’s play, directed by University of Washington professor and award-winning director, Valerie Curtis-Newton. Billed by Ham as “neither a jukebox musical or standard biopic,” Four Women pulls from a mix of gospel, hymnals, and Simone’s protest songs to punctuate a discussion on women in the Civil Rights Movement in the aftermath and agony of extreme racial violence. Four Women refers to Simone’s 1966 song in which she characterizes four archetypes of African-American women who serve as the play’s minimal cast: Sarah (Shaunyce Omar), an older, conservative manual laborer; biracial activist Sephronia (Britney Simpson); prostitute Sweet Thing (Porscha Shaw); and Nina Simone (Shontina Vernon) standing in as Peaches, the angry radical. The characters present a constellation of perspectives in conflict based on their history and status, illuminating the numerous—and often silenced— voices of African-American women during a time of tremendous upheaval in conversations still relevant today. Ham, who grew up surrounded by piles of Simone’s records and whose mother attended the 16th Street Baptist Church, said the classically-trained pianist-turned-activist was misunderstood in her time, often because of themes she refused to shy away from. 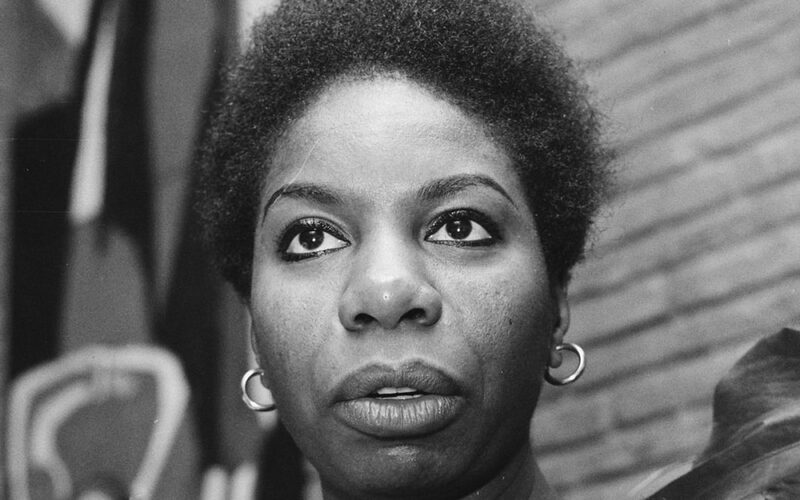 Both “Four Women” and “Mississippi Goddam,” two of Simone’s pivotal protest songs, did not receive airplay on Black or White radio stations. Simone’s music and Ham’s dialogue offer an access point into deeper conversations within the Civil Rights Movement, confronting issues of status, class and sexism from conflict to reconciliation. Audiences will gain insight into Simone’s work, activism, and ultimate legacy, as well as narratives historically flattened. The Washington Post described the play not as “comfort food,” but “a show with bloody knuckles.” Ham intended to stoke those difficult moments, to bring uncomfortable conversations to the fore, reflecting a candor as natural to Simone as her iconic tenor. “This is putting it out there, and sometimes it makes people uncomfortable, but Nina didn’t make people comfortable, so I can’t write a play about her and not talk about [uncomfortable issues],” Ham said in the interview. For tickets and information visit seattlerep.org.